Over the weekend, torrent portal The Pirate Bay was caught running a cryptocurrency miner on its website, queitly hijacking visitors’ computing resources to stack Monero coins, TorrentFreak reported. But should you feel this excuse isn’t cutting it for you – and if you want to stop other websites from doing the same – there are measures you can take to prevent sites from piggybacking on your CPU resources. 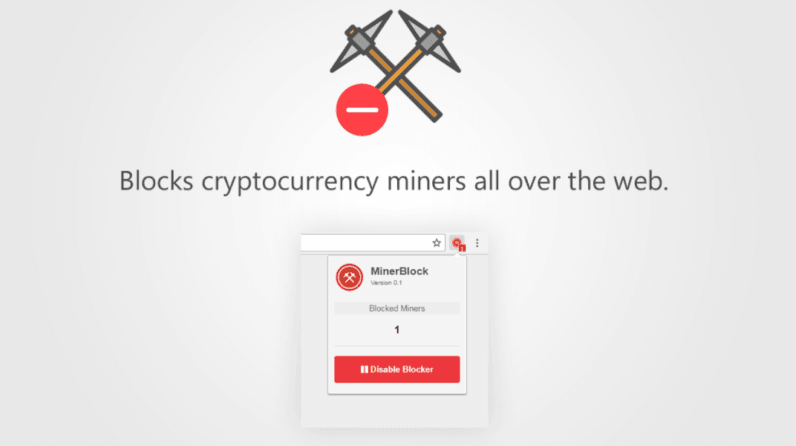 Available for Chrome, minerBlock and No Coin are handy browser extensions specifically designed to block popular crypto miners from using your computing power. What’s especially handy is that, similar to an ad-blocker, you can choose to remove certain sites from your list of blocked domains in case you want to deliberately lend your CPU for usage. Those interested in more technical details can look up the source code for minerBlock and No Coin (respectively) here and here; both are available on GitHub. One thing to keep in mind, when making the decision whether or not to get one of these extensions, is that crypto miners – like Coinhive, the solution implemented by The Pirate Bay – is that they are hard to spot by users; until, of course, you start noticing the sharp increase in CPU usage. There is nothing inherently wrong with experimenting with alternative models to generate revenue. Where The Pirate Bay (and any other sites that do the same) err, though, is failing to alert its users of this “test” in advance. Putting this aside and factoring in its awful ads, such sites might actually be onto something. But as Motherboard so adeptly summed it up, everything ultimately comes down to user consent: It’s a choice between trading in your privacy (ads) or computing power (miners) for the right to use a service. Still, given that The Pirate Bay is hardly the only one busted for surreptitiously borrowing users’ CPU to mine crypto, the more concerning aspect here is that there are probably a pile of shady sites out there running the same scheme. Now at least you know how to defend your device’s battery against these shifty practices.